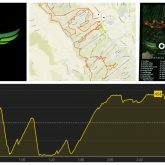 The course design felt very BattleFrog, and if I didn’t know better, I’d think that the Beard was responsible. While getting across this many grip obstacles in succession, AND keeping one’s band felt very rewarding, I did not see this kind of grip focus as necessary. I also have never seen this many ripped palms. This was like a CrossFit workout gone bad. I finished the race fist pumping few of the cheerful volunteers, instead of a high five they reached for, as I had blood generously trickling between my fingers. Ugh. Multiple rigs, and rough tape did a number on many people’s hands. La Gaffe was definitely a stand out obstacle this year. Creative, well thought out and challenging. Kudos, Marco Bedard. Compared to last year, registration was a breeze. Switching to iPads from pen and paper made the process much more efficient. Also, more staff helping with registration – all made for smoother process. My one criticism of the short course last year was the disproportionate amount of time spent on the Wreck bag carry. This year, the carries were both quite balanced and proportional compared to the total distance of the race itself. One thing that I did not hear people talking about, even though they should have absolutely been talking about is… hardly any bottlenecks! Do you guys realize that difficult that is to pull off? And how that totally does not happen by accident? Oh my god, the complaints. Yes, the company supplying gear and apparel were sold out of most sizes within hours. This tends to be the case at any large championship. If you have ever tried buying a Spartan t-shirt in medium at Tahoe, you’ll know what I am talking about. It’s not the race organizers. Buck up. Wreck bag carries – could you sit on them and slide? Well, technically, if it is not forbidden, it’s allowed. The rules explicitly state that the bags needed to be carried. And be within hand reach. Some obstacles were closed later in the day. Yes, for your safety. Cheating. Yes, there was some cheating. I saw racers use chalk on the rig. I saw racers ask volunteers for water. No, that was not supposed to happen. Yet, OCRWC continues to be the event with the LEAST amount of cheating I have seen in any event. Journeyman wave complained that they were pulled of the course in the horrible weather conditions, ONLY having five hours to finish the course. Let’s put this in perspective. The winning time is 1.5 hours. 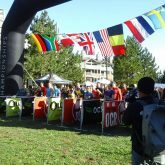 How many hours would you allow for completion, if you were the race organizer? Some griping as to the order of the waves. However, the waves were not ordered willy nilly, but rather in a way so as to minimize interferences. The Pro wave was probably the one who suffered most from having to catch up to some of the later runners in the earlier waves. Some obstacles were too tall. This specifically applied to the first element of Skull Valley, and the green rig, as you had to use a ring or a pole, to get to the first set of bars, or first grip. Yet… everything is too.. something. We can’t have it both ways. If you are going to amend the obstacle in such a way so it does not benefit racers with longer arms, it will immediately disadvantage shorter runners. The sport chooses a specific body type. Powerlifting does not use different barbells, because people have different length levels. And a squat for me is a hell of a lot longer than for someone who is 5’1. Pick one. Except it makes it easier for taller runners to “shortcut” the course, which makes sense in race conditions. As a long armed gal, I would absolutely try and reach for the furthest ring/skull that I could to save grip. And that necessitates extra instructions from volunteers, and therefore extra monitoring. So the question is – how do we design obstacles that self-regulate? 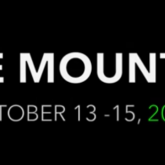 Compared to the Kings Domain in Ohio, Blue Mountain is simply better suited to support a world class athletic event. The actual race is only 40% of the total experience. This is an unscientific estimate, so you are welcome to insert your own number here, however, we can all agree that there is more to the race than the actual race. 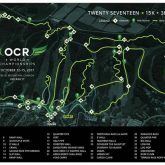 Now, we are onto speculating where OCRWC2018 will take place. Will it be UK? Mexico? Norway? Or somewhere else entirely?